If you"re constantly being asked to calibrate more and more with less and less, Fluke"s 9100 Calibration System is the answer you"ve been waiting for. Its exceptional performance in both the analog and digital domain allows it to calibrate an extremely wide range of test and measurement equipment - quickly, efficiently and to ISO 9000 requirements. For the 9100, calibrating everything from handheld digital multimeters to high performance digital-storage oscilloscopes is all part of a day"s work. Take advantage of the Model 9100"s unique procedure mode, which guides operators step-by-step through the entire calibration process, and you"ll not only calibrate more with less - you"ll do it faster. The 9100 is a multifunction calibrator with a breadth and depth of outputs never before available from a single calibration source. In addition to DC and AC voltage to 1050V, variable Resistance to 400MΩ and DC and AC current to 20A (1000A via the optional current coils), the 9100 delivers continuously variable capacitance values to 40mF and conductance values to 2.5 milliSiemens. It also generates digitally synthesized and phase-locked sine, square, triangle, impulse and trapezoidal waveforms, variable amplitude pulses to 10 MHz, pulse widths to 2 seconds, and duty cycles between 0.05% and 99.95%. Add one of the two oscilloscope calibration options and it generates all the waveforms required to calibrate oscilloscopes up to 250 MHz or 600 MHz. Fit the insulation/ continuity tester option and it synthesizes resistance values as high as 2GΩ at test voltages up to 1000V. 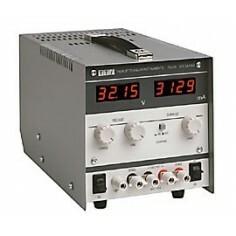 Fit the power meter option and it simultaneously generates variable phase angle voltages and currents that allow you to calibrate power meters up to 1 MW or 1 MVAR. 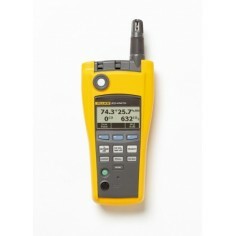 No other multi-product calibrator gives you such wide workload coverage and versatility. 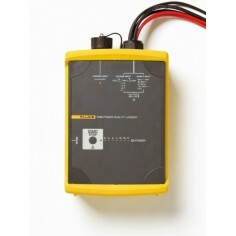 Weighing in at only 41 lbs (18.5 kg), it"s also the ideal solution to on-site calibration. Never before has such versatility and simplicity been synonymous with such a comprehensive calibration package as the Model 9100. Incorporating PCMCIA card technology for stand alone operation, the Model 9100 has the unique ability to calibrate 15 different categories of General Purpose Test Equipment, in a single portable calibration source. This together with the capacity to directly generate results certificates compliant with your Quality System requirements, makes the Model 9100 Multifunction Calibrator a cost effective, yet simple solution to your everyday needs. Take advantage of the 9100’s unique procedure mode, which guides operators step-by-step through the entire calibration process, and you’ll not only calibrate more with less – you’ll do it faster. The 9100 is a multifunction calibrator with a breadth and depth of outputs never before available from a single calibration source. In addition to DC and AC voltage to 1050V, variable resistance to 400MΩ and DC and AC current to 20A (1000A via the optional current coils), the 9100 delivers continuously variable capacitance values to 40 mF and conductance values to 2.5 milliSiemens. It also generates digitally synthesized and phase-locked sine, square, triangle, impulse and trapezoidal waveforms, variable amplitude pulses to 10 MHz, pulse widths to 2 seconds, and duty cycles between 0.05% and 99.95%. 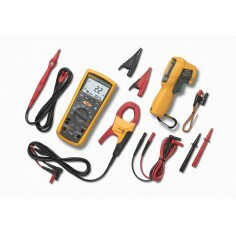 Fit the insulation/continuity tester option and it synthesizes resistance values as high as 2GΩ at test voltages up to 1000V. Fit the power meter option and it simultaneously generates variable phase angle voltages and currents that allow you to calibrate power meters up to 1 MW or 1 MVAR. To cope with the varied and demanding workload of a modern calibration department, you not only need a calibrator that’s versatile, you also need one that maximizes throughput. That’s why the 9100 incorporates a unique procedure mode that guides untrained operators through the entire calibration process, with direct printout of calibration results on a connected printer. For commonly used instruments, the chances are you’ll find the calibration procedures you need in our comprehensive procedure library. If you want to write your own procedures, or you want to fully automate the calibration of instruments that can be controlled and interrogated via the IEEE-488 bus, you can integrate the 9100 into a PC-based calibration workstation, by running MET/CAL Plus software. Even when you use the 9100 in manual mode, we’ve given it a simplicity of operation that minimizes human error and speeds the calibration process. Frequently used functions such as voltage, current and resistance have dedicated front-panel keys that allow you to activate them at the touch of a button. Less commonly used functions are selected using screen menus and soft-keys to avoid cluttering the front-panel with too many keys. Three different methods of adjusting the output value – numeric entry, increment/decrement keys or spinwheel control – let you choose one that suits the calibration operation. Soft keys allow you to implement any of the commonly used range sequences, while D and D% modes give you an instantaneous display of output deviation.